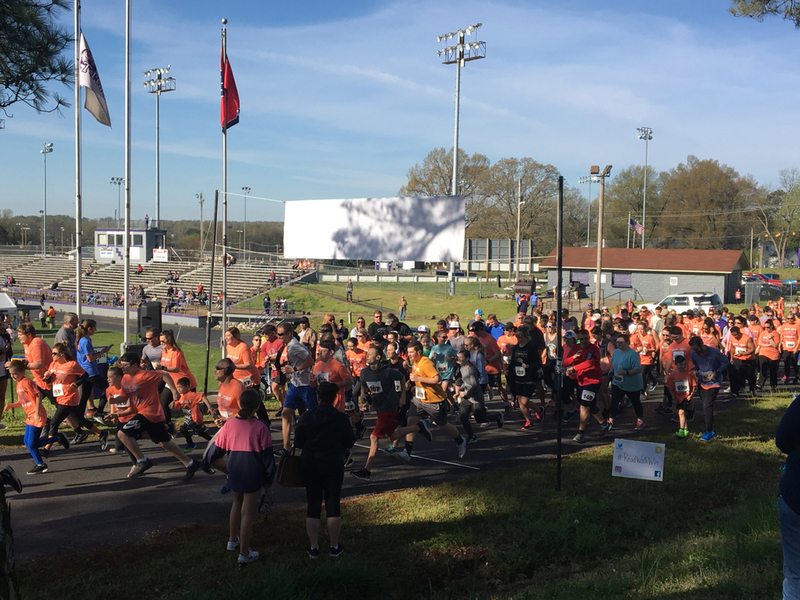 There was a great turnout Saturday morning for Lauderdale County Schools' 4thAnnual Lace Up for Literacy 5K and 1mile Fun Run. 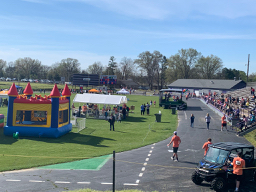 The weather was perfect for the event! Ripley High School was filled with community literacy supporters of all ages. The Easter Bunny made an appearance, was available for pictures, and even cheered on the racers. There was something for everyone! 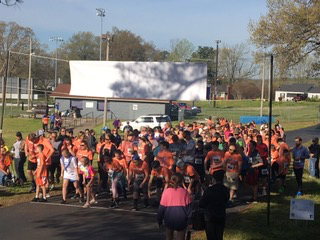 What an awesome day it was to have all schools in the county come together and work to promote the READ 20 initiative and increase literacy awareness in Lauderdale County. The opening ceremony began with the RHS JROTC presenting the colors and the singing of the National Anthem by Julia Manley, 5thgrade student at RES, daughter of Mr. and Mrs. Marlen Manley of Ripley. RPS teacher, Anthony Radcliffe, offered the opening prayer. The day kicked off at 9am with the 5K followed by the 1 mile Fun Run. 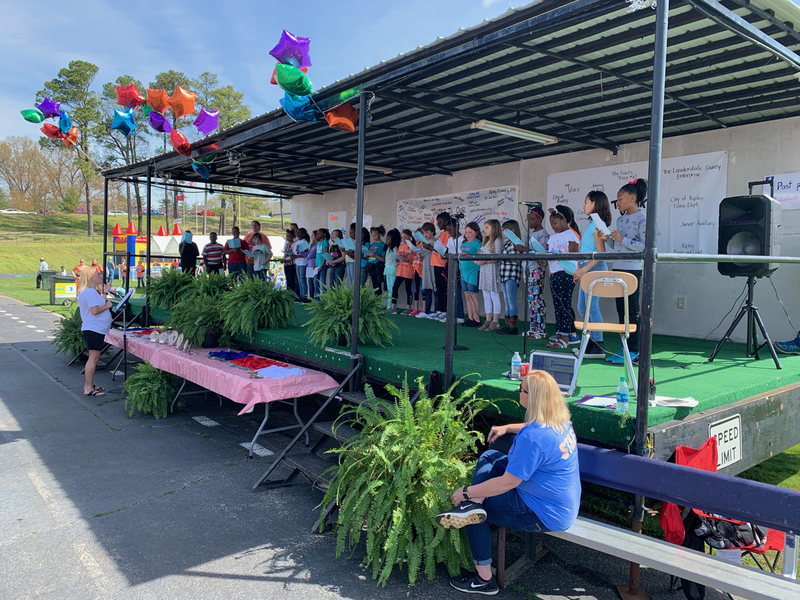 Entertainment was provided throughout the day by Keith Gambill, teacher at RES, The Seeleys, members of the HHS choir and the RES choir under the direction of Shannon Blackwood. Awards were announced following the races by Shawn Kimble, Lauderdale County School Superintendent. A list of all winners from both races is included. Individual times can be found at racesonline.com. School sponsored booths were busy with concessions and fun activities for the kids. Free books were given to children in attendance by Save the Children. Professional Counseling Services and Books from Birth also provided informational booths. The Lace Up for Literacy Committee thanks all sponsors and supporters of this great effort. There have been many positive comments about the venue change to RHS including the new race routes. Plans are already in the works for next year's event with hopes that it will be even bigger and better! Mark your calendars and save the date for the 5thAnnual Lace Up for Literacy Saturday, April 4th, 2020. Don't forget our Bookworms are still available to place in yards to support bringing awareness to the importance of literacy in Lauderdale County. Contact Cynthia Glenn at 731-413-8147 or Michelle Brazier at 731-612-0212 to bookworm your family, friends, or neighbors. Overall Female winner for the 5K was Christi Meeks with a time of 26:54. Overall Male winner was Bronson Rasp with a time of 21:43. Overall Female Masters winner was Nancy Brin with a time of 33:47 and Overall Male Masters winner was Kenny Pilcher with a time of 23:37. Overall Female Grand Masters winner was Debra Gingery with a time of 38:12 and overall Male Grand Masters winner was Michael Walsh with a time of 25:32. Top 3 male and female winners in all age categories were presented medals at the awards ceremony. 1st, 2ndand 3rdplace medals were presented for ages 8 and under, 9-11, 12-14 and adults in the 1 Mile Fun Run.